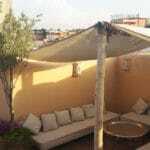 service and authenticity for our customer’s trips to Morocco. 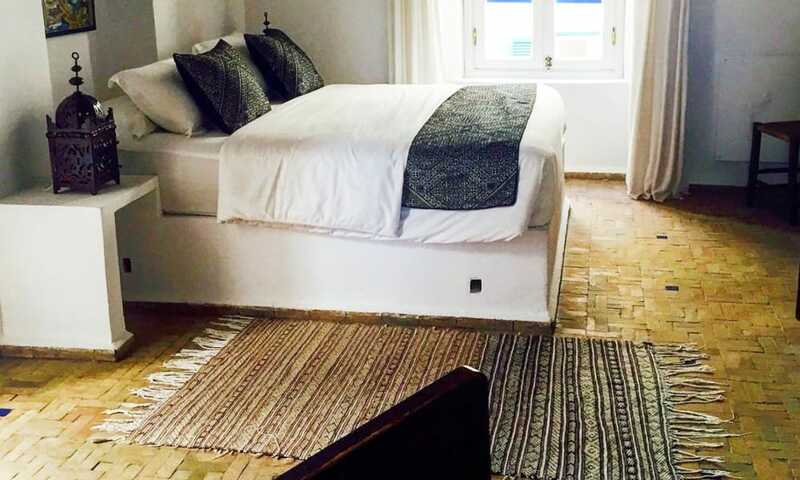 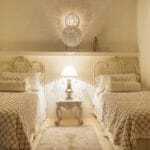 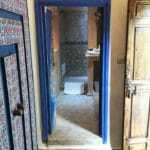 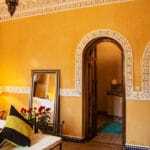 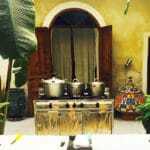 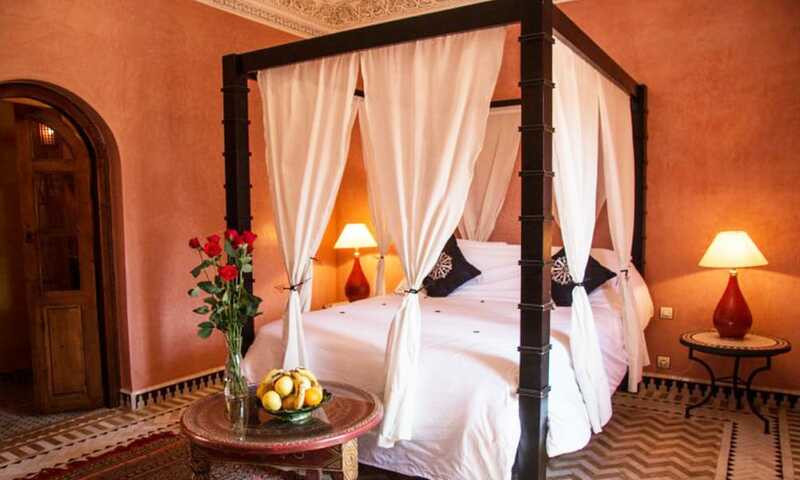 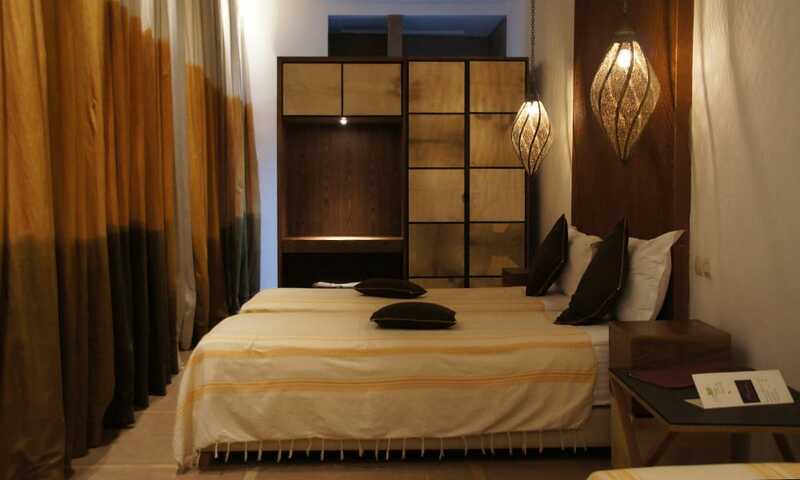 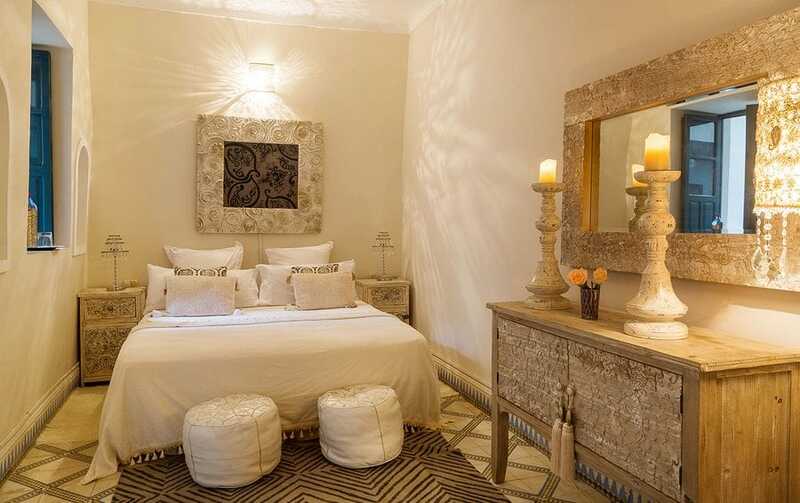 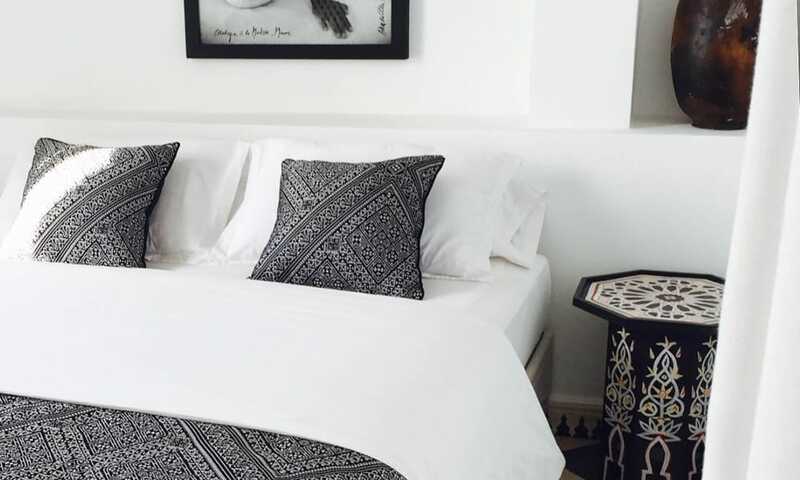 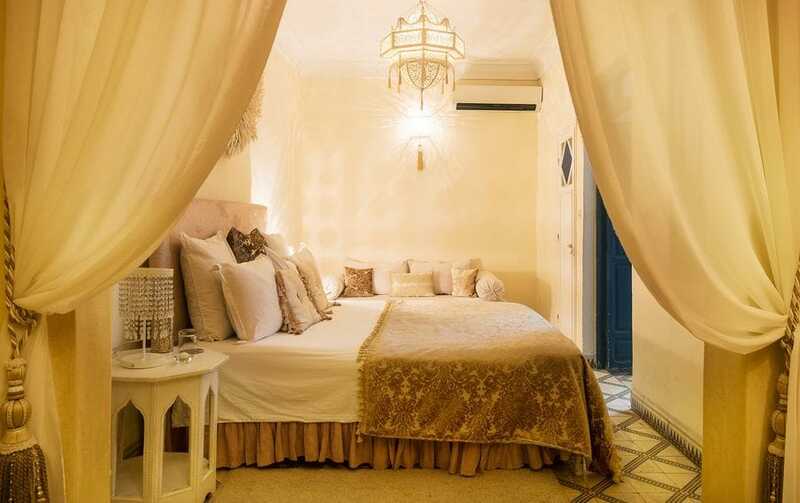 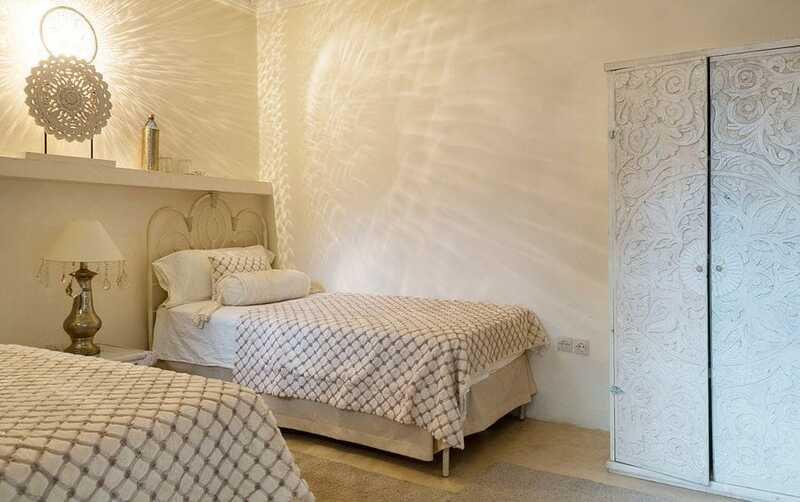 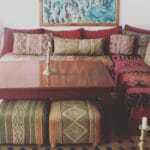 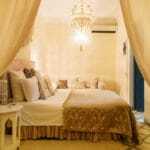 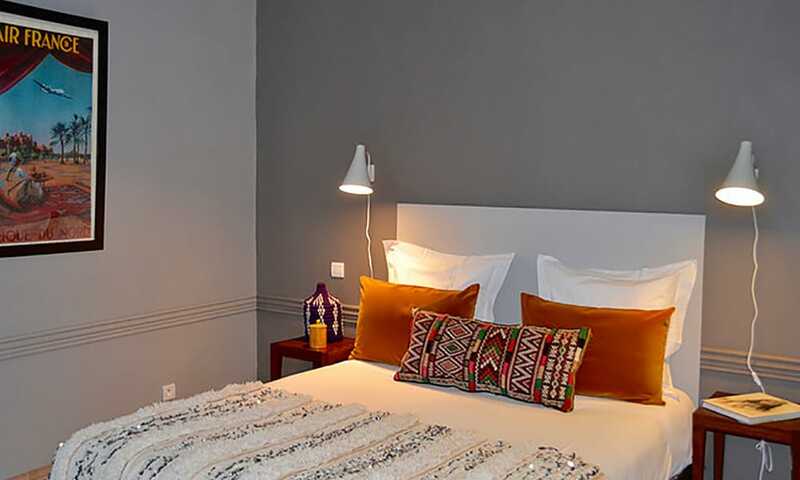 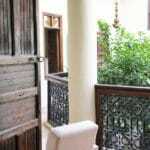 Riad Bab 54 is a furnished in style house with a lot of lovely Moroccan details. 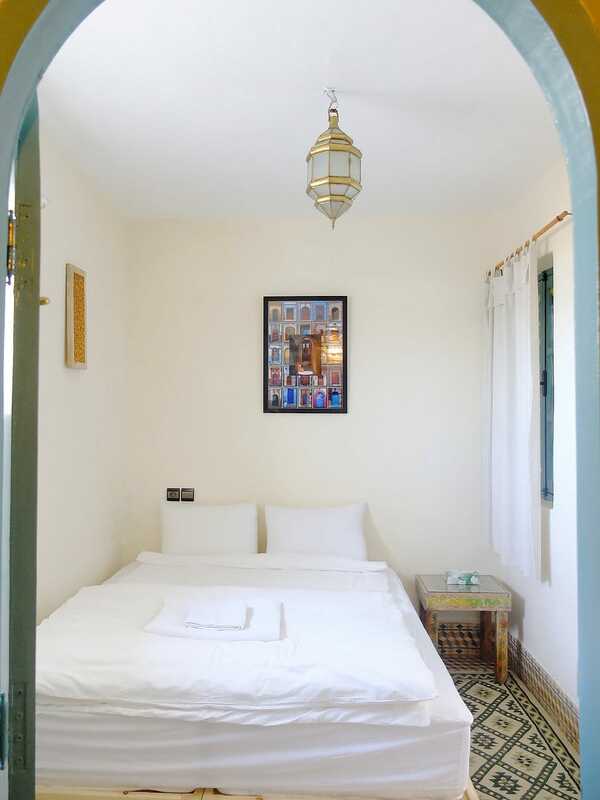 Just 7 minutes walking from the big square Jemaa el Fna you can find the Riad in a small alley just next to the famous place Des Épices. 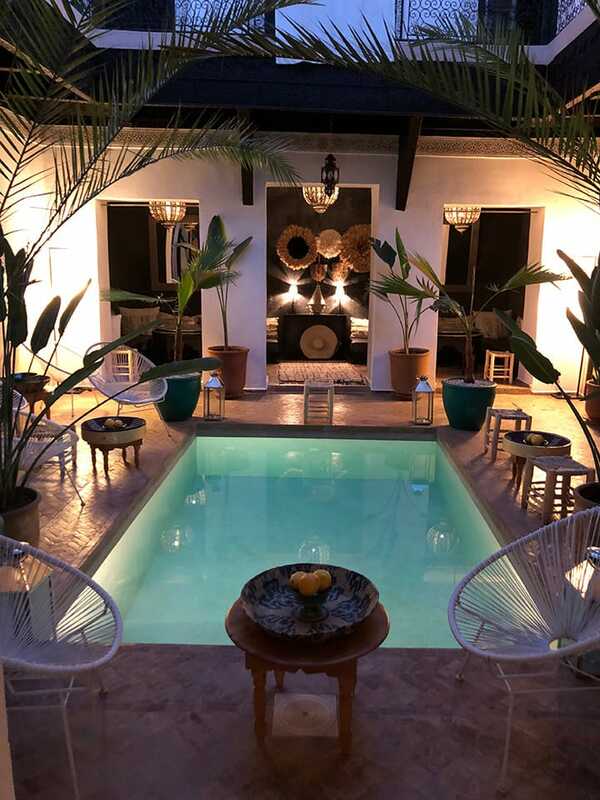 The Riad’s highlight is the swimming pool in the middle of the Riad, which offers the perfect setting for hot & sunny days. 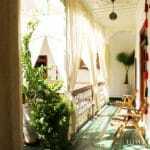 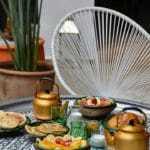 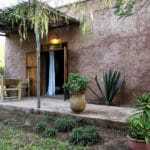 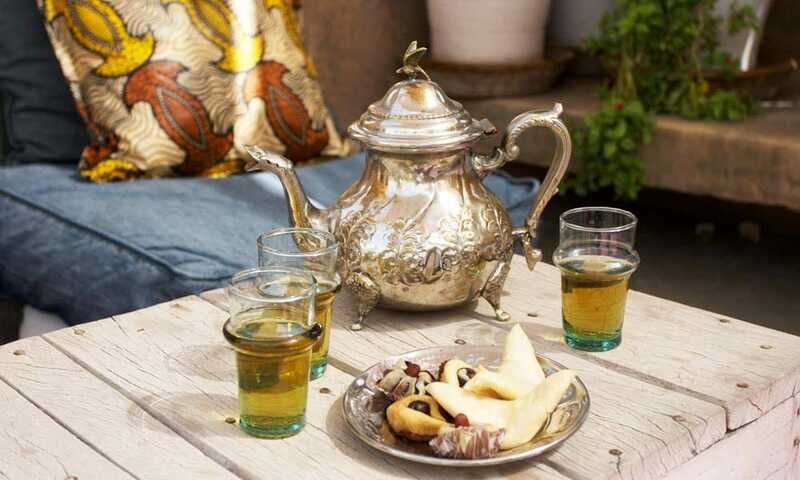 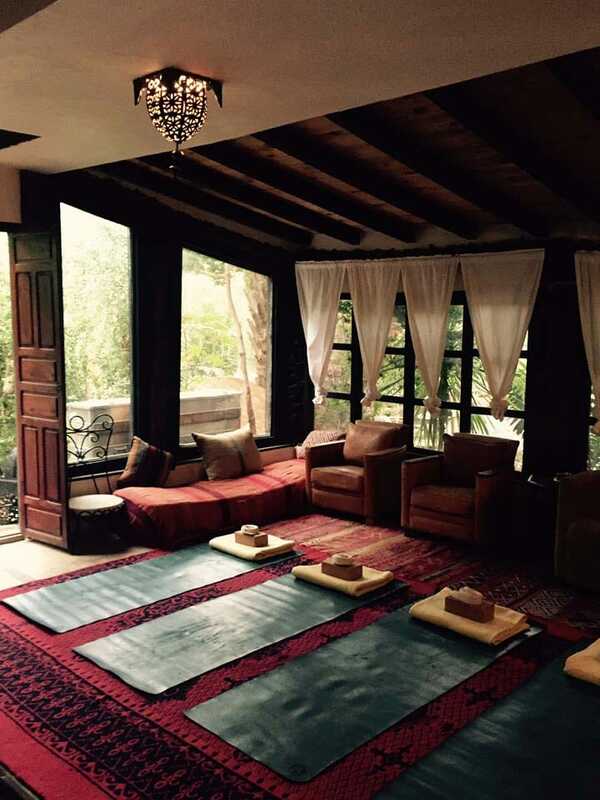 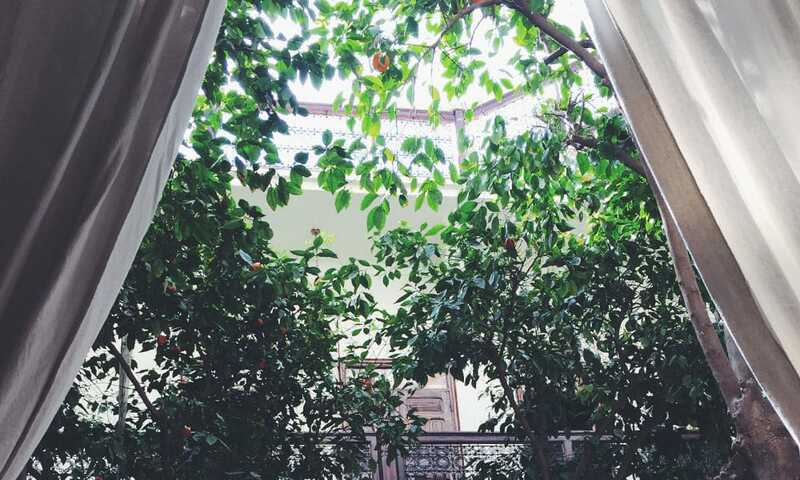 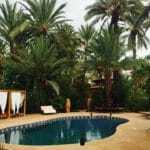 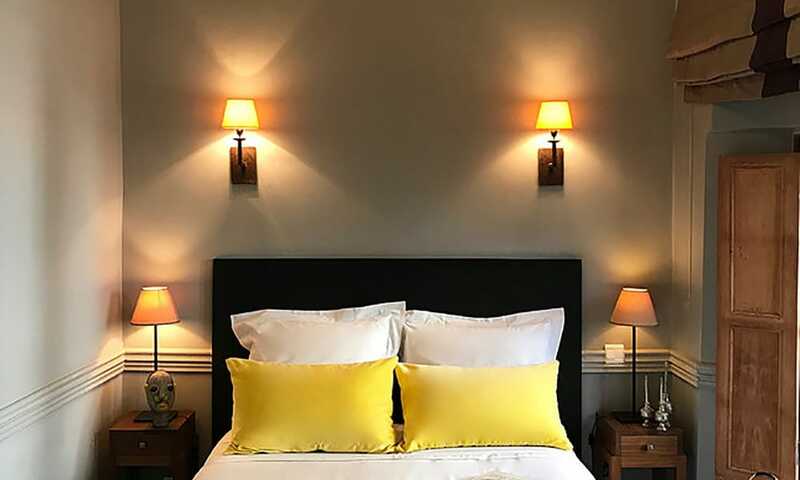 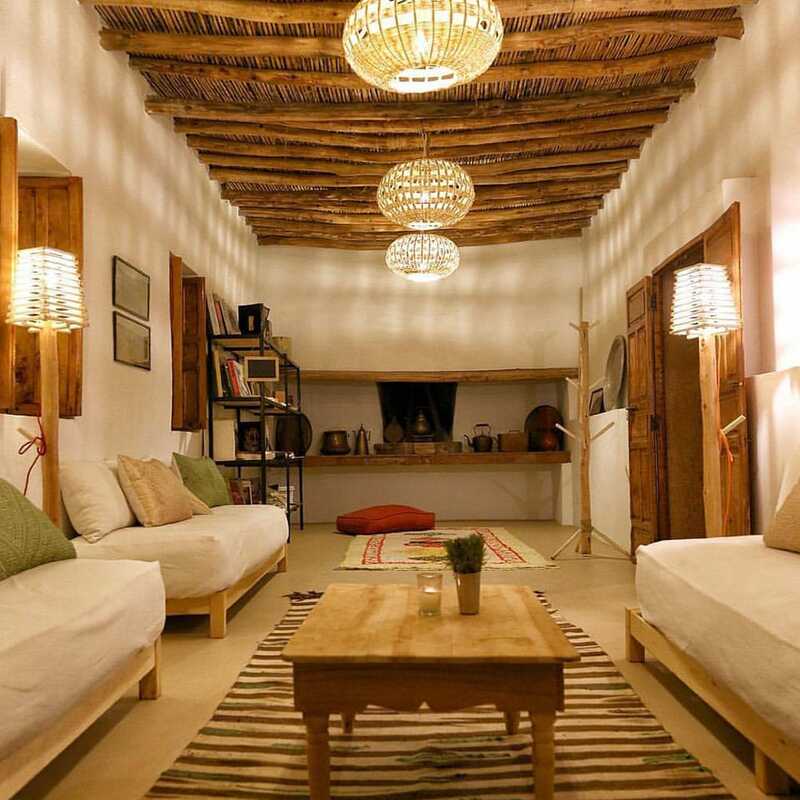 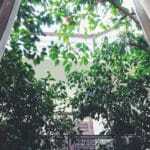 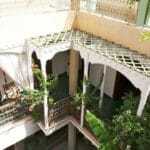 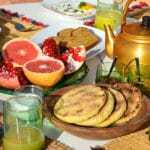 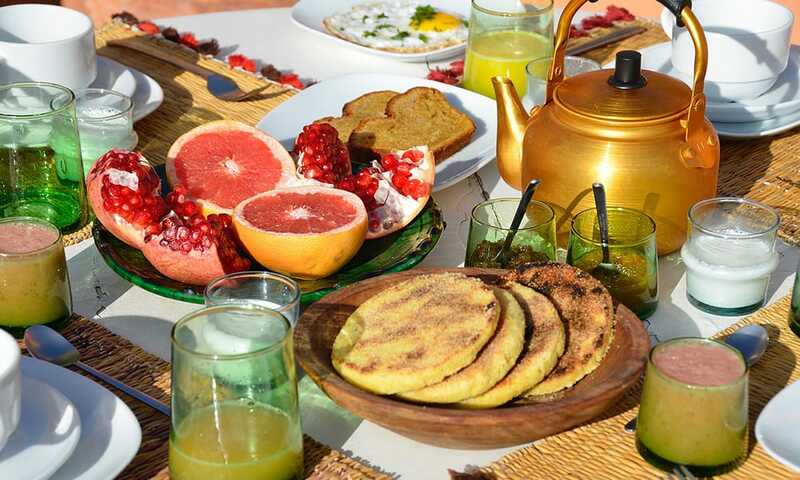 Chambres D’Amis is a beautiful, green haven in the middle of the Medina not far from the big famous square Jemaa el Fna. 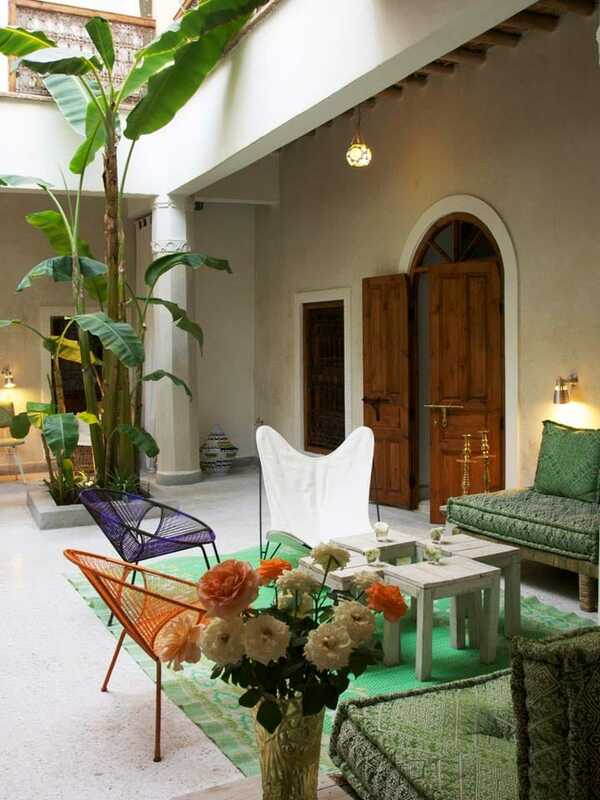 A colorful, bright place and an over and over green patio and rooftop terrace is awaiting you. 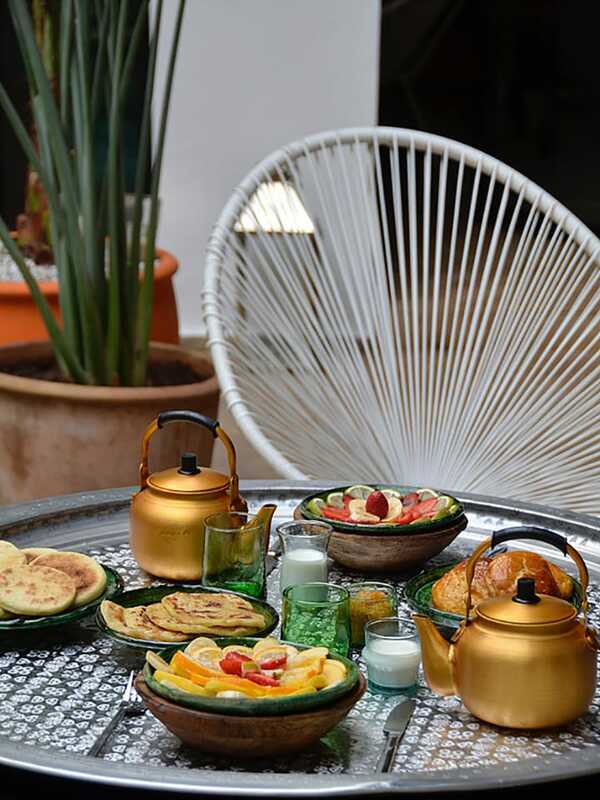 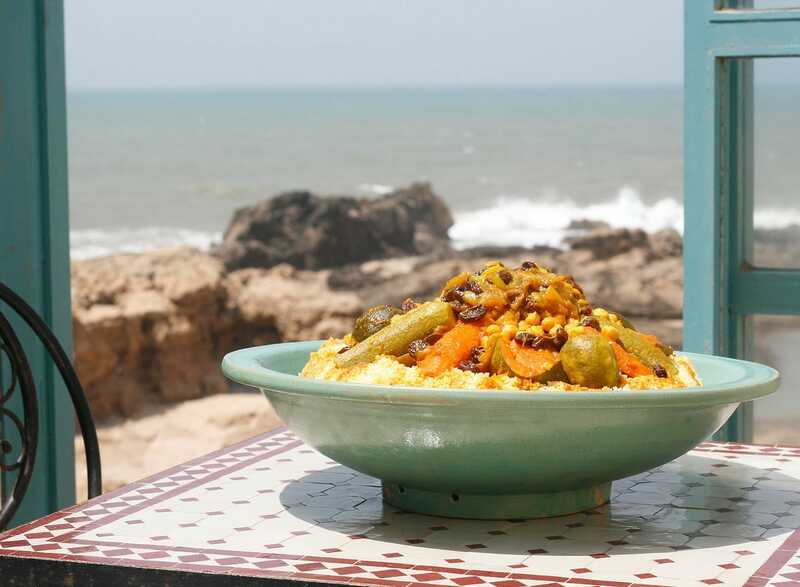 Chambres D’Amis is famous for its healthy, modern Moroccan cuisine. 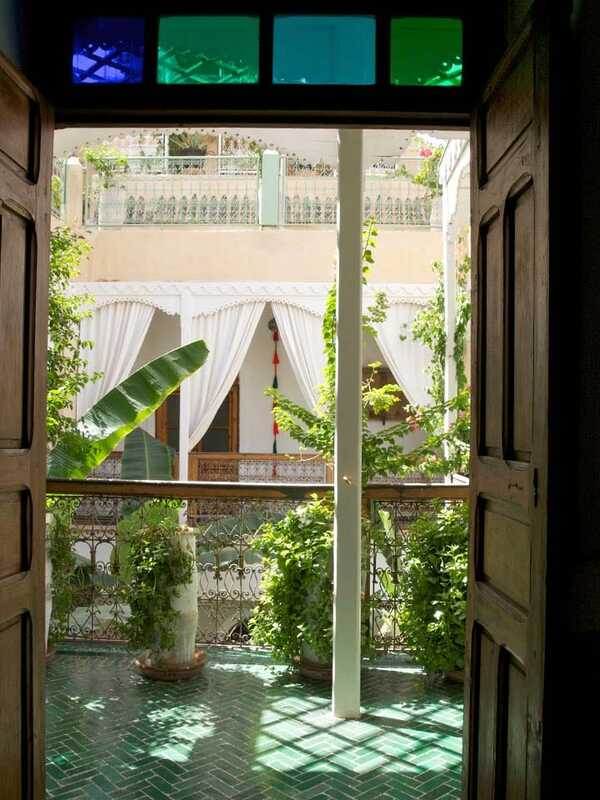 Riad Maïalou is a spacious but very private traditional Moroccan house in the heart of the Medina with Western accommodation standards. 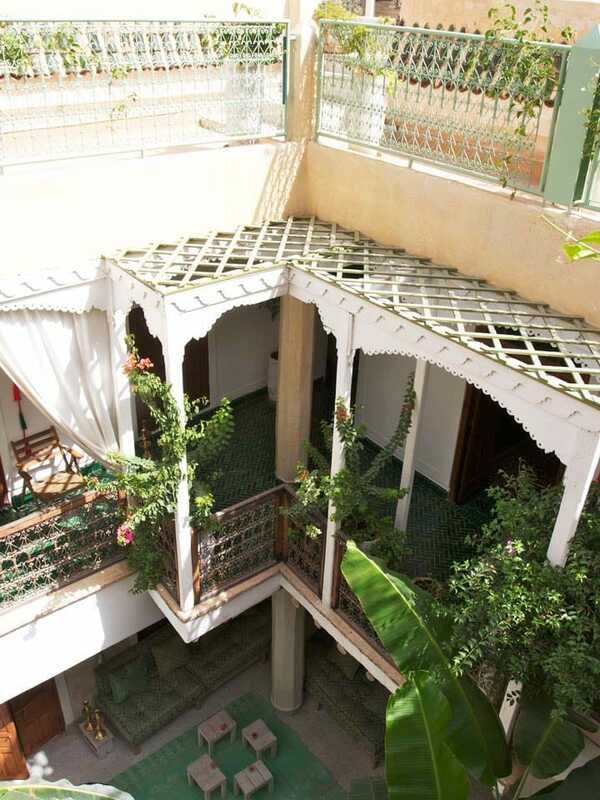 It has an amazing terrace facing the Koutoubia Mosque, a tasteful design and an exceptional welcoming management. 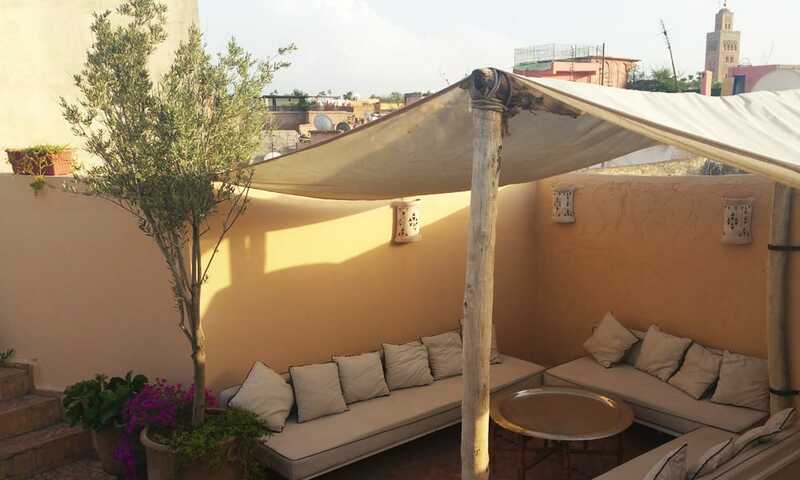 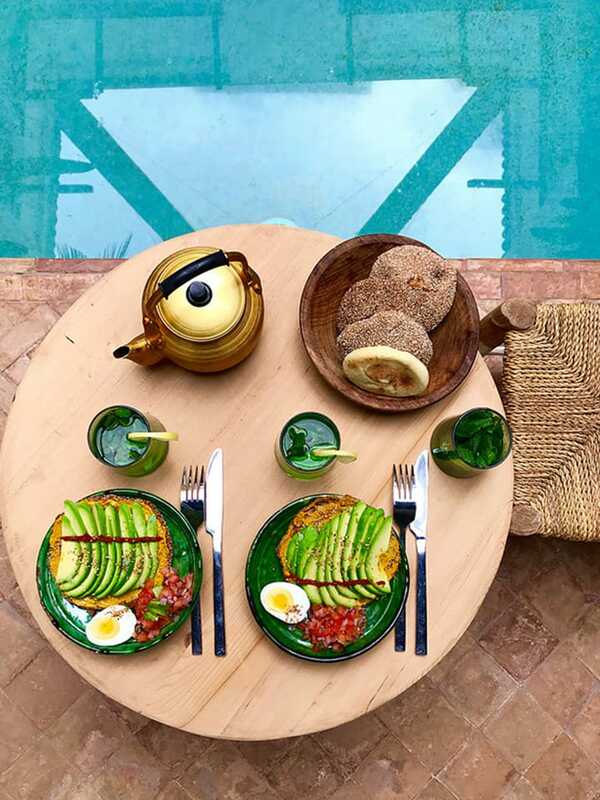 Staying here will make your Marrakech experience unforgettable. 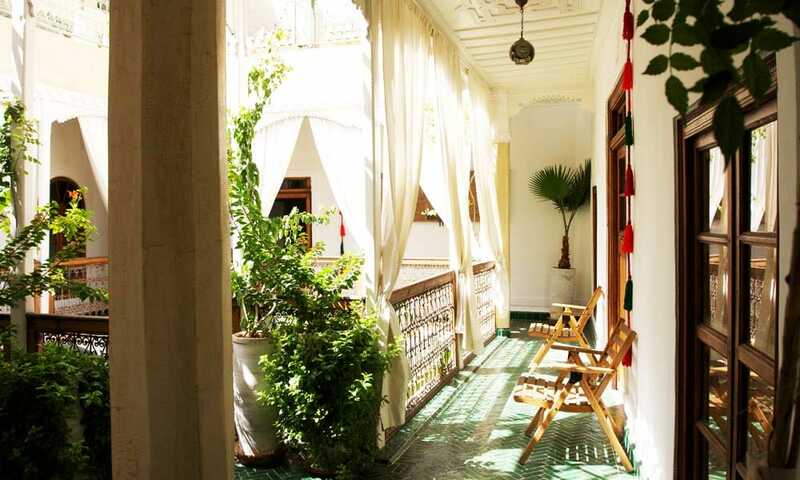 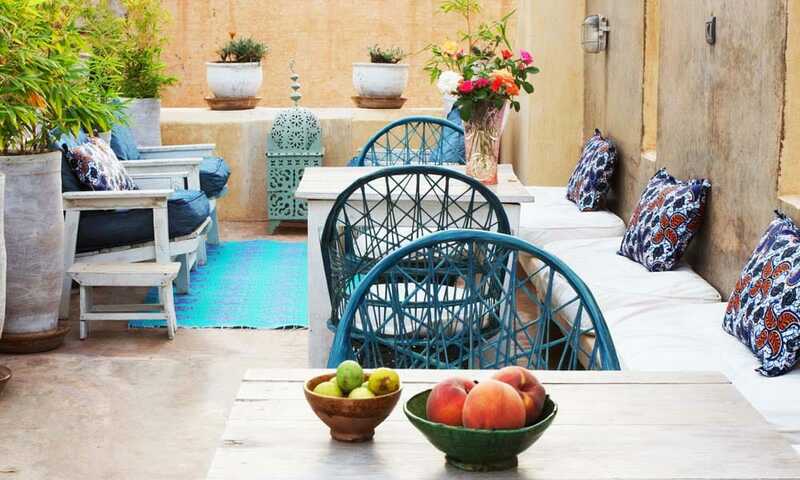 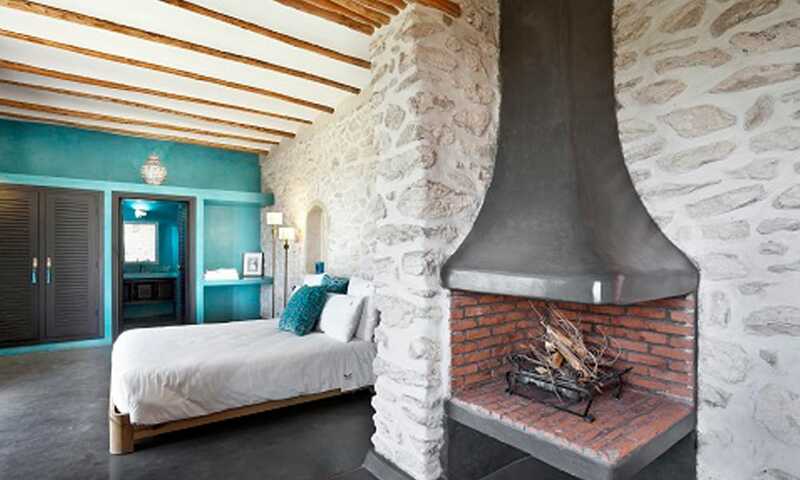 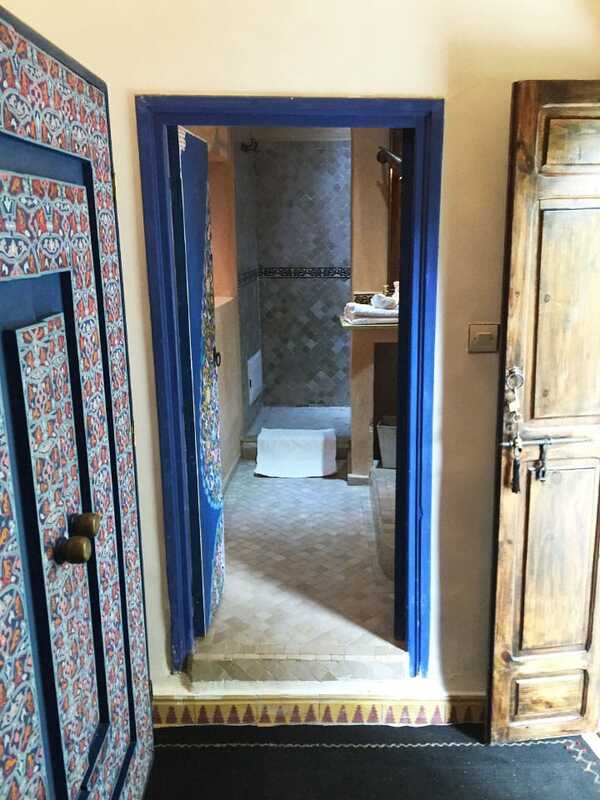 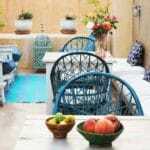 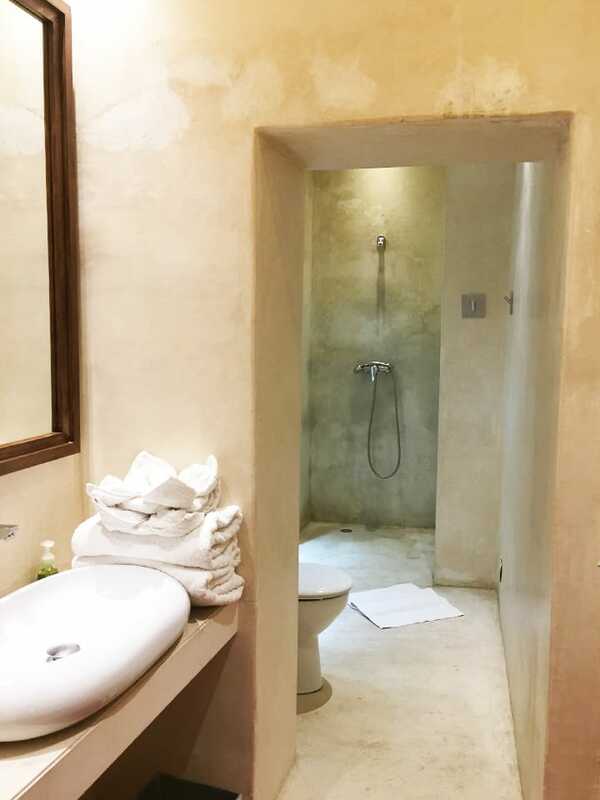 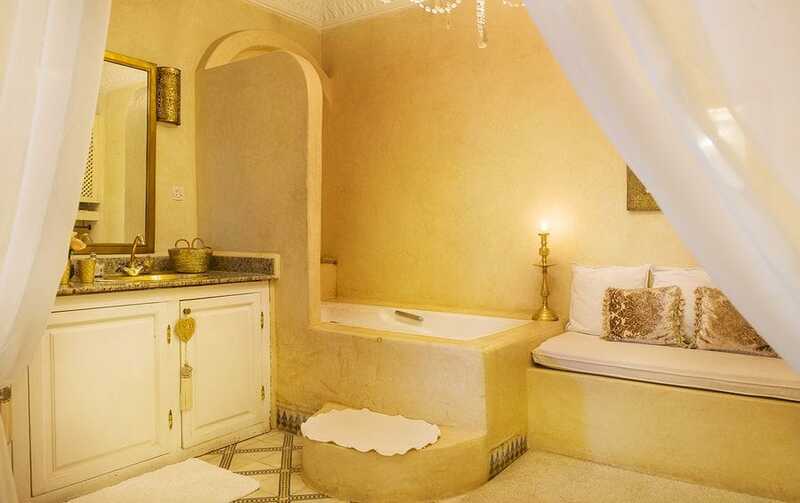 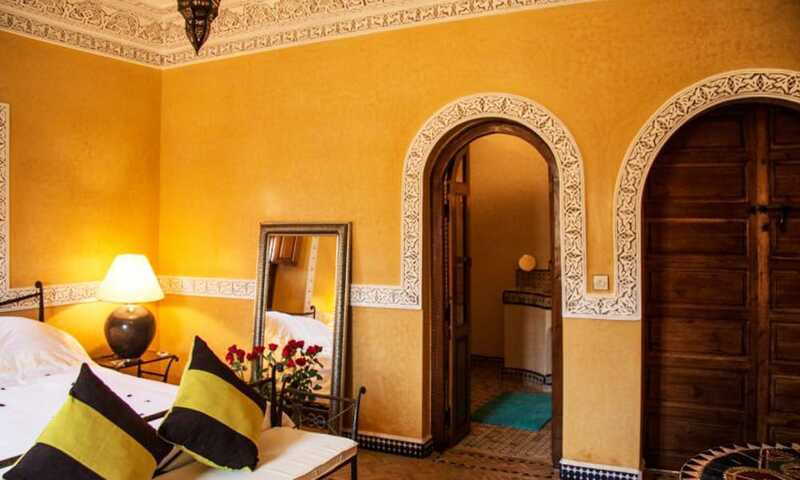 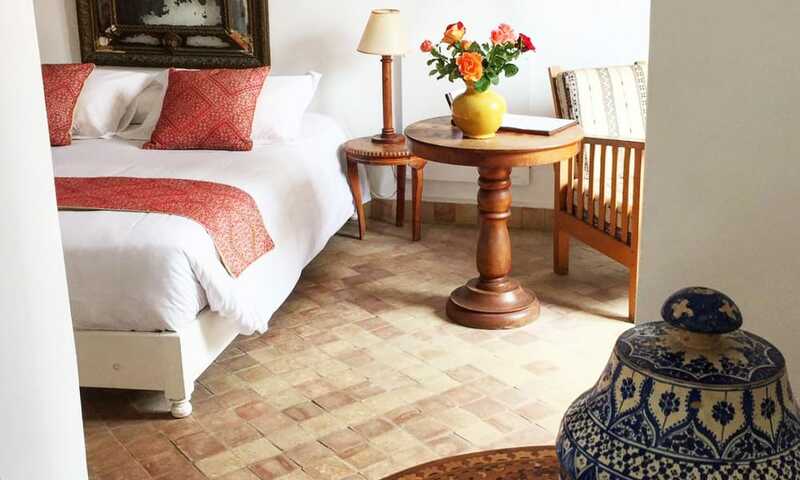 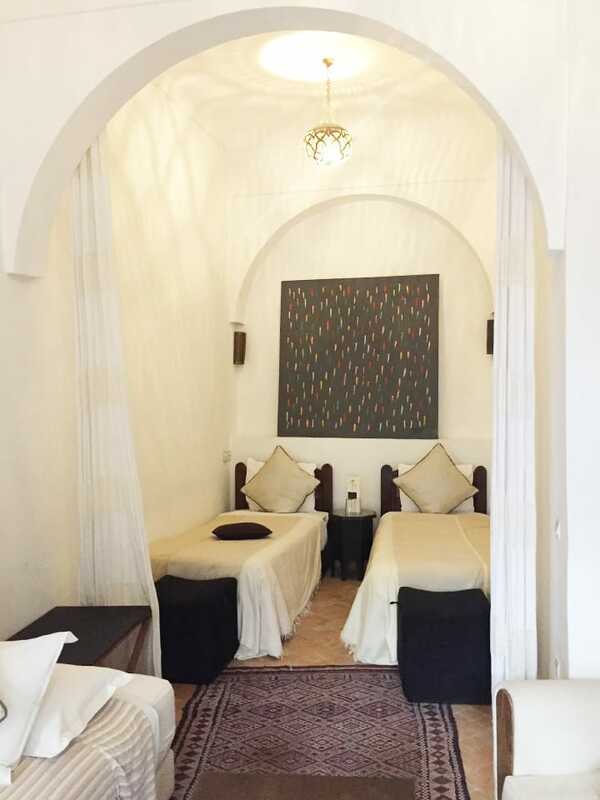 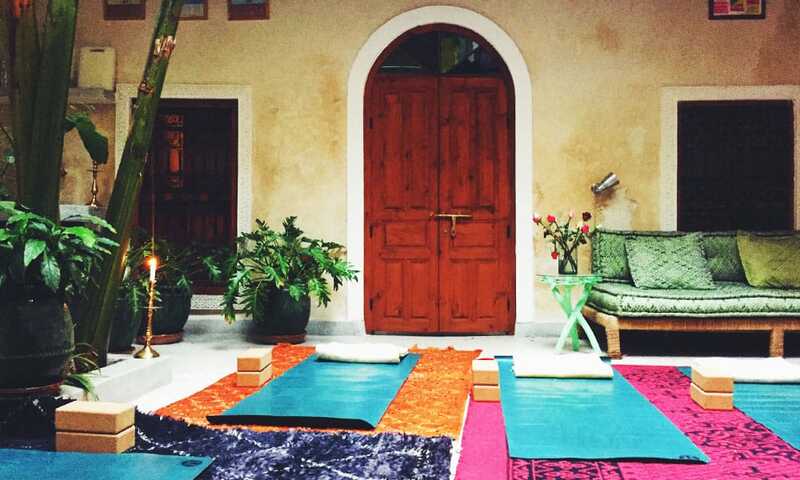 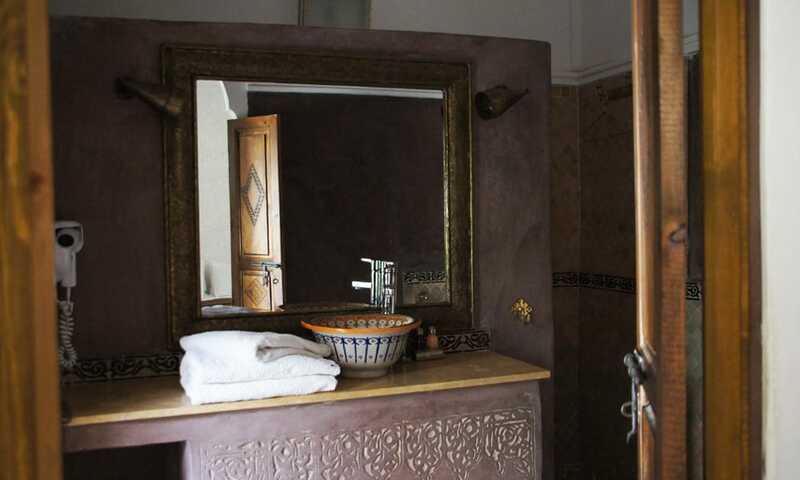 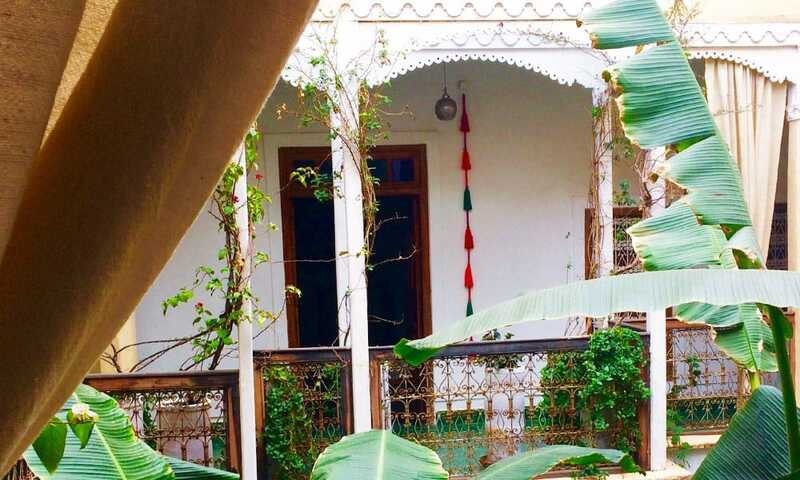 This small riad is a very traditional and charming one with an old moroccan architecture. 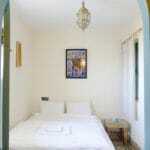 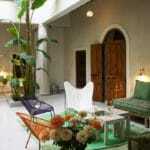 Especially for individual enquiries we cooperate with the Riad Dar Missiana. 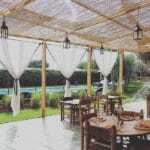 Here you can find a cosy, familiar atmosphere with an individual service. 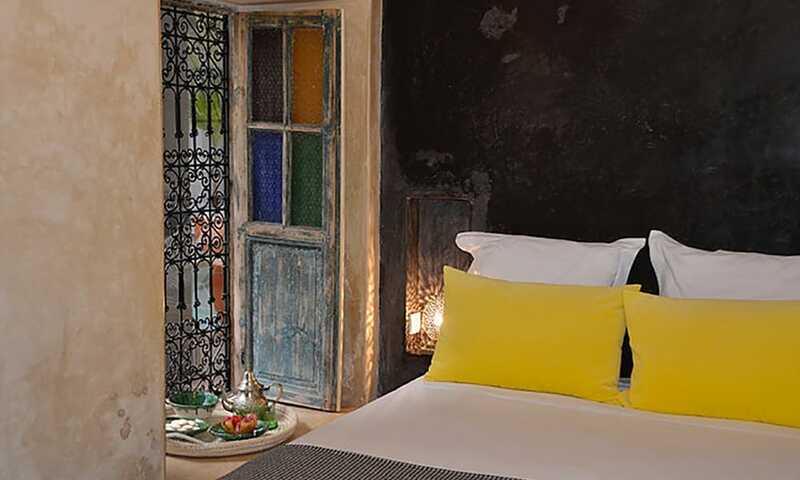 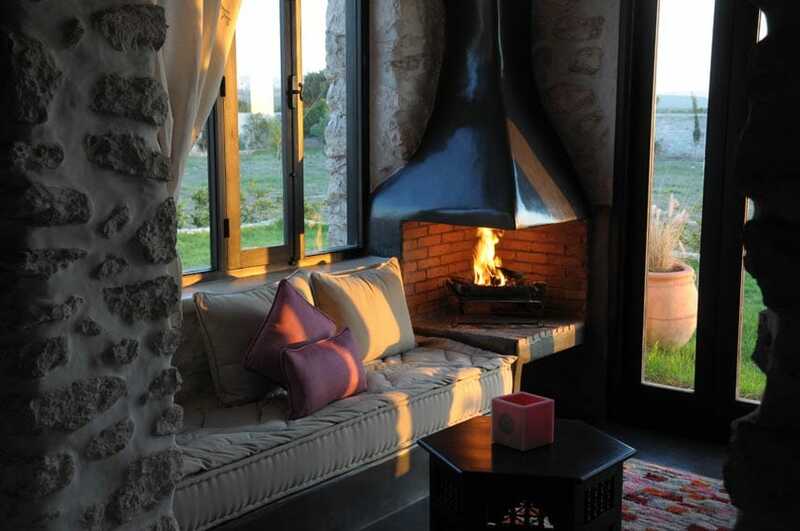 9km south of Marrakech, beyond the walls of the medina and towards the Atlas, La Ferme Berbère offers an individual poetic alternative away from the bustle of the souks. 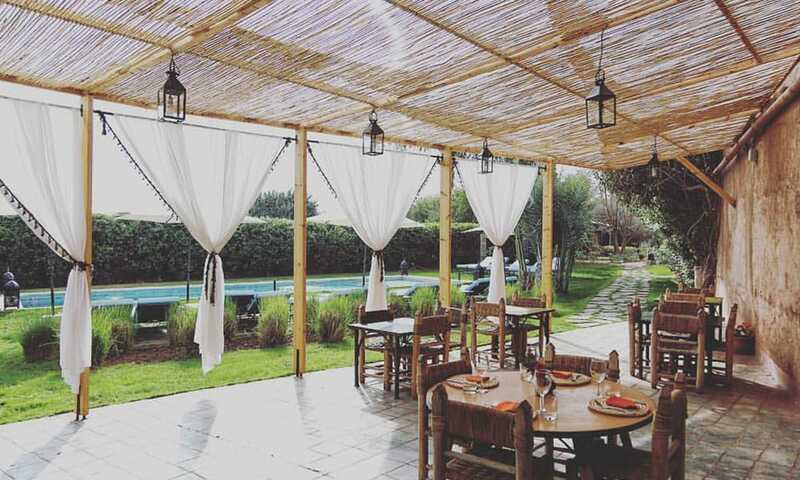 Only 15 minutes from the heart of the city, this ancient olive tree farm welcomes travelers looking for tranquility and friendliness. 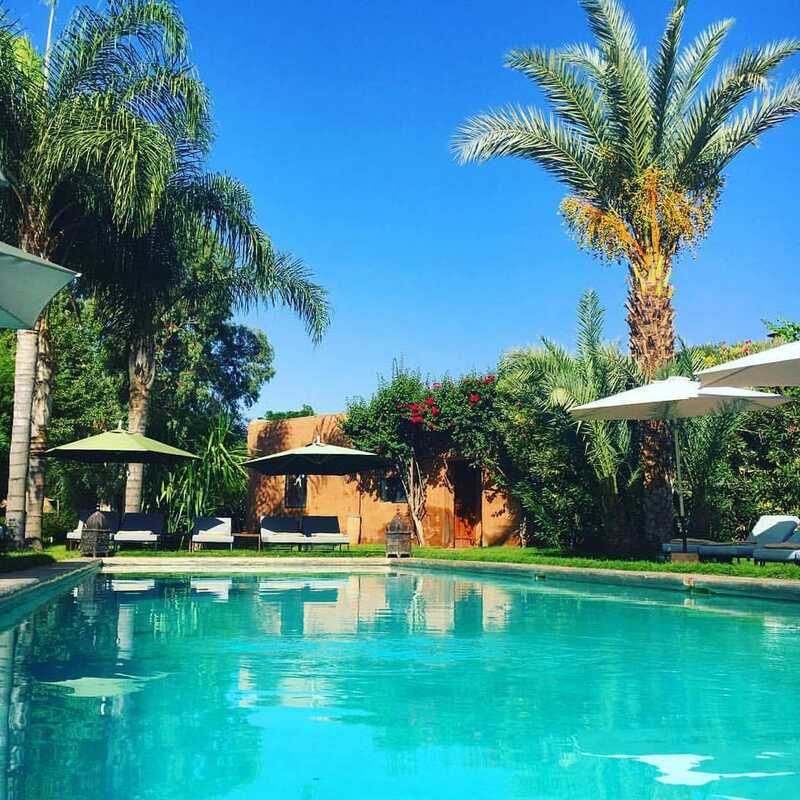 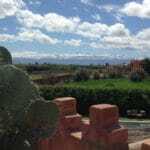 Guest farm, restaurant and spa, La Ferme Berbère allows to escape Marrakech for the day or to stay in a peaceful setting. 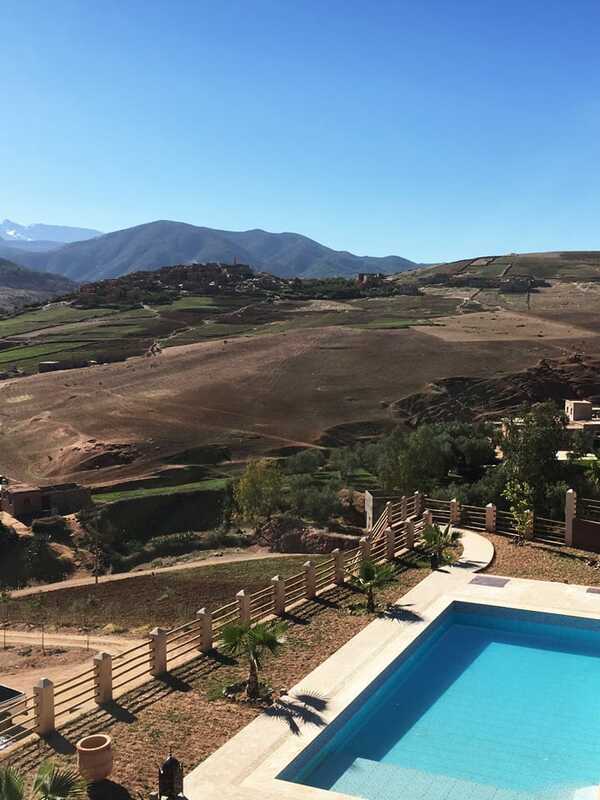 The Ecolodge lays in the beautiful Drâa-Valley in Agdz and provides an amazing view towards the mountains. 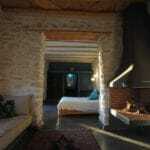 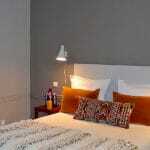 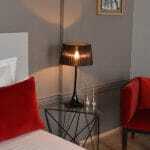 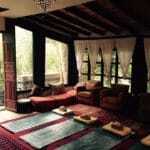 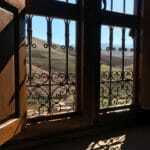 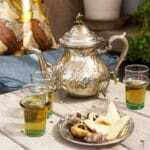 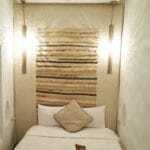 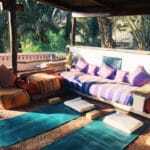 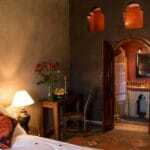 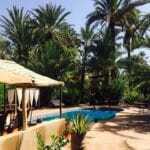 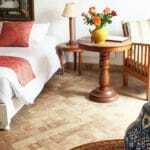 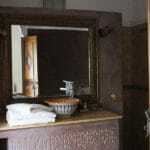 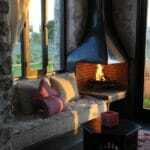 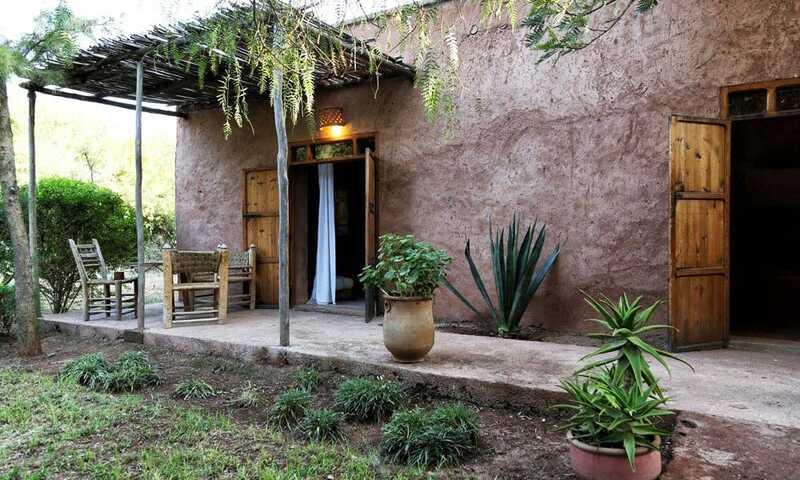 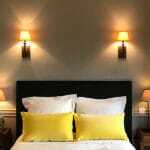 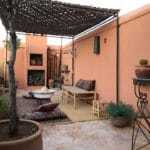 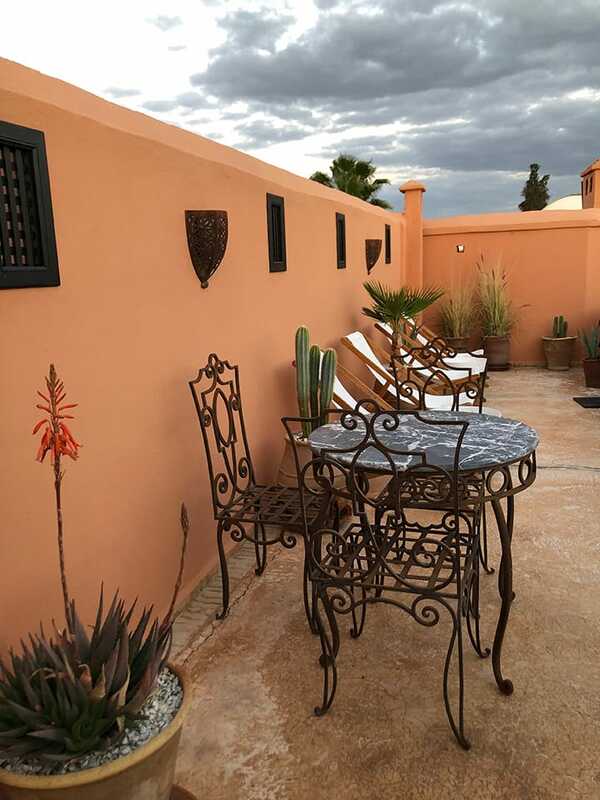 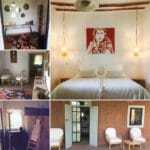 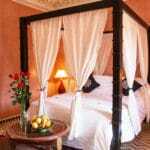 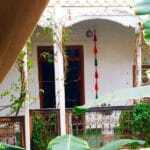 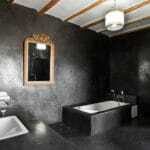 The accommodation is equipped with small lodges and furnished in a mixed African Moroccan style. 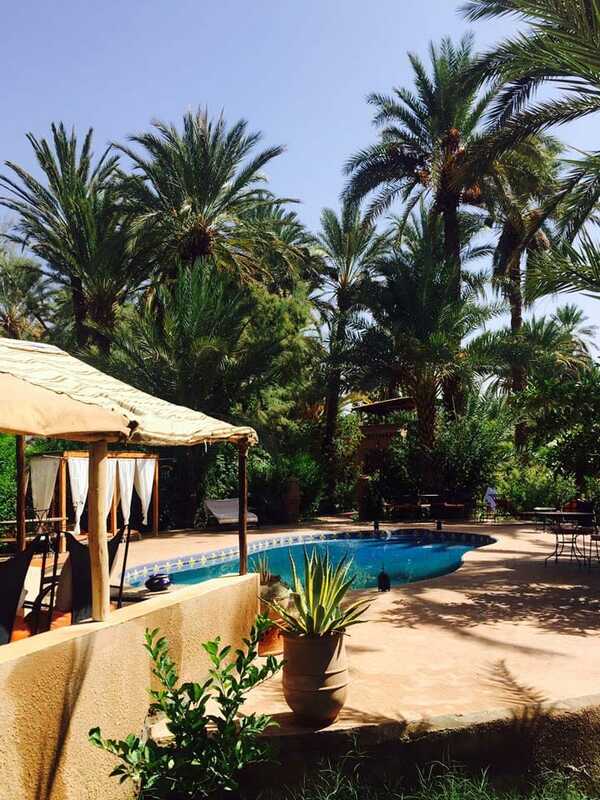 The swimming pool area invites you to relax on cosy sunbeds and also cools you down on hot sunny days. 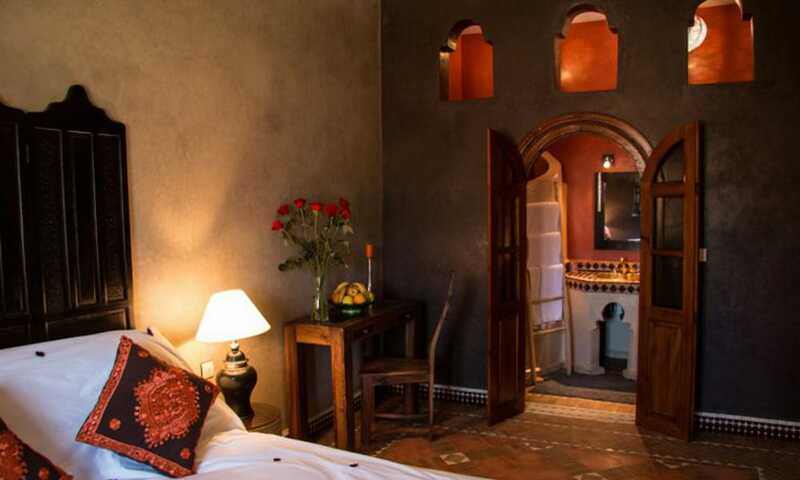 The Riad Caravane lays in the heart of the small village Ait Boulmane, 1km away from the famous UNESCO world heritage Ait Ben Haddou. 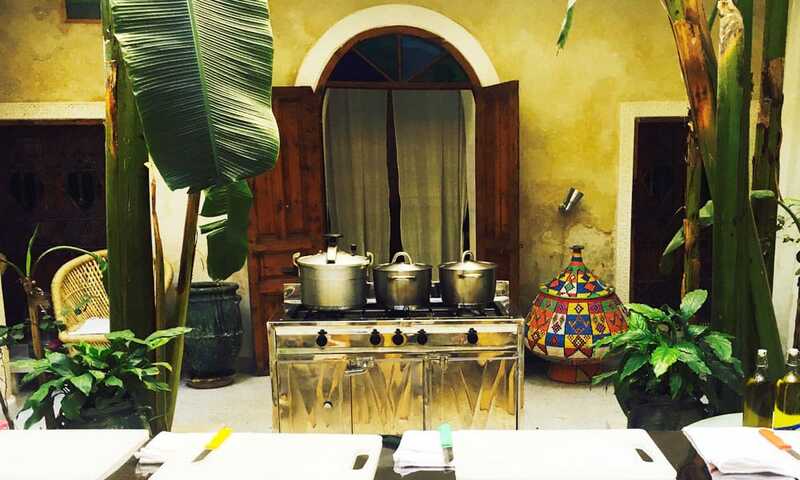 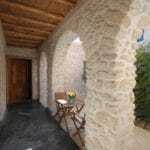 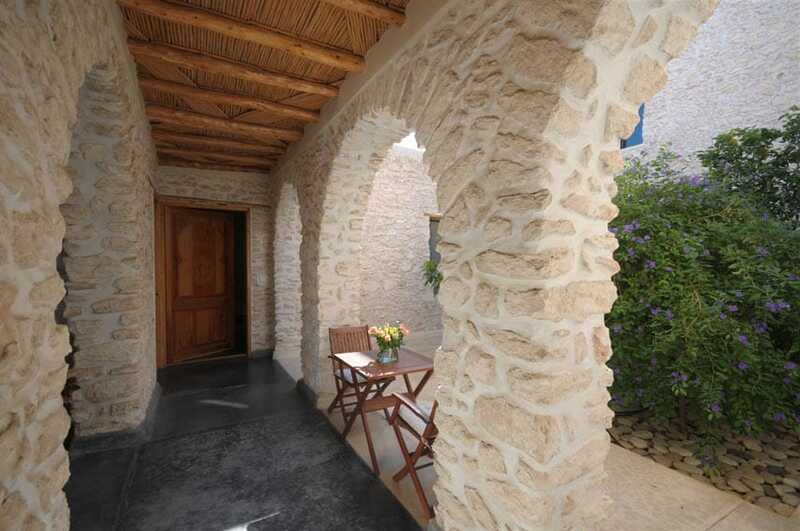 Through the traditional architecture you will find a friendly, spacious and authentic atmosphere. 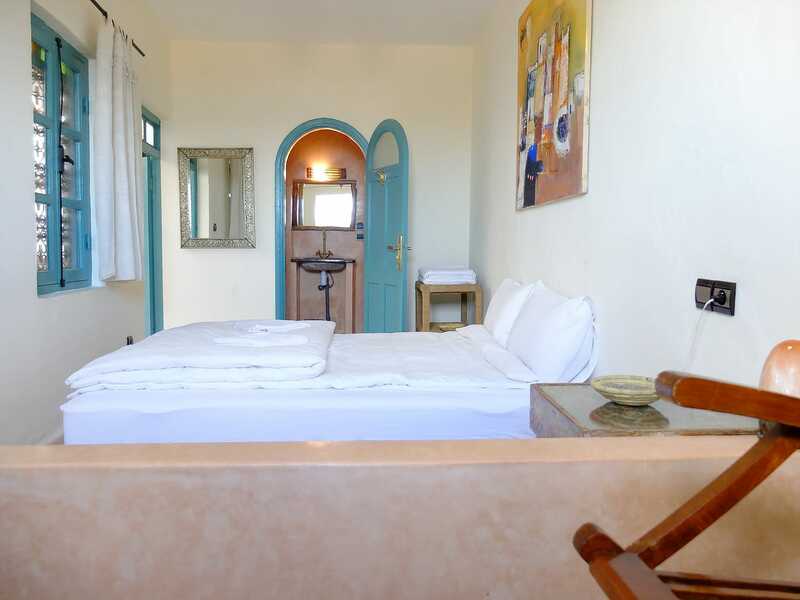 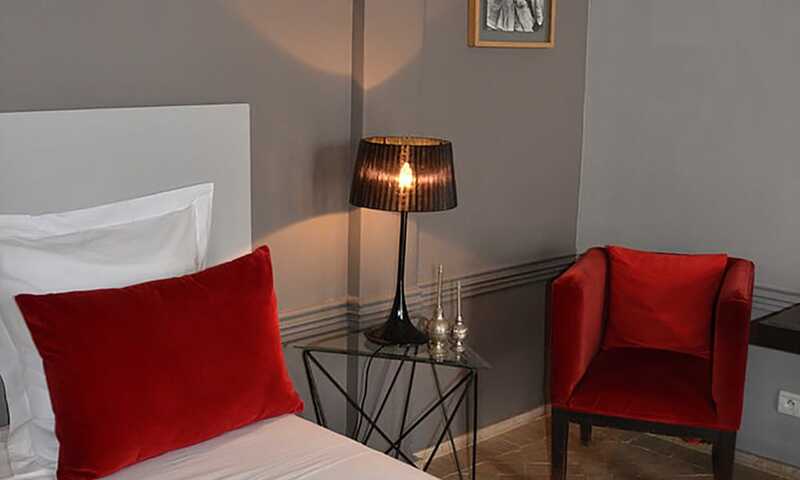 All rooms are furnished in European standard and provide incredible views. 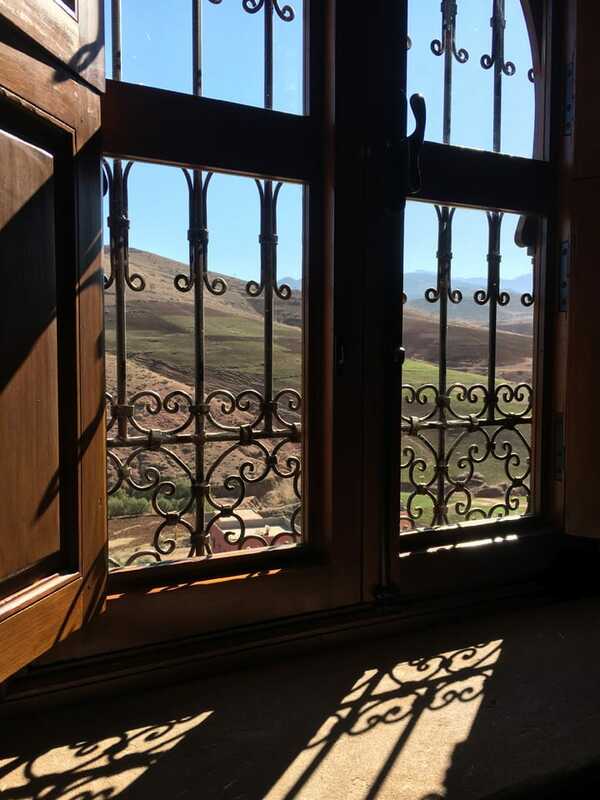 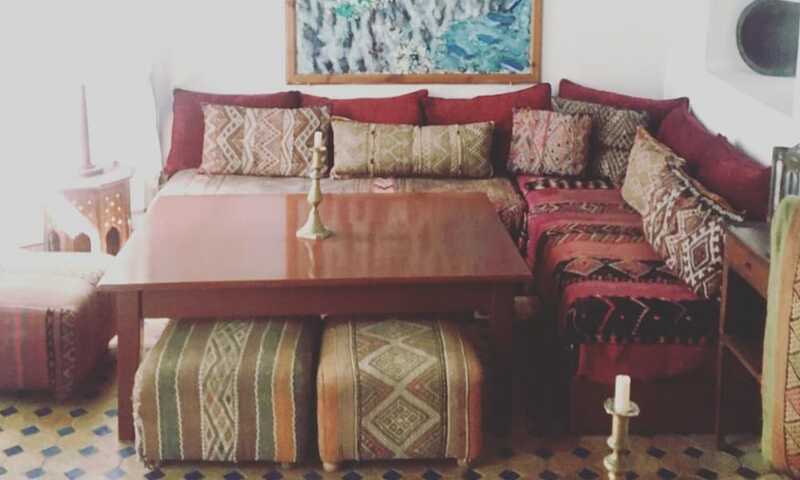 Mohamed welcomes his guests in his traditional guest house and shares the hospitality of the Berbers in his quite basic but absolutely charming, traditional place – in the middle of the nature of the beautiful High Atlas Mountains. 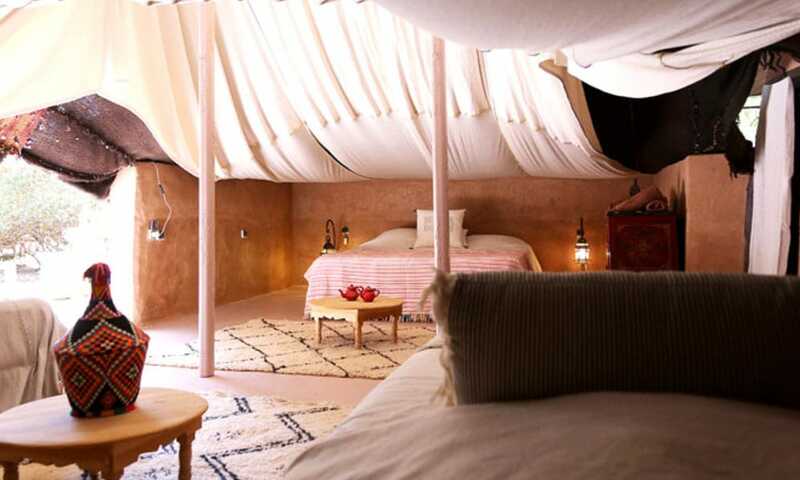 Sleep in the absolute tranquility of the Sahara desert. 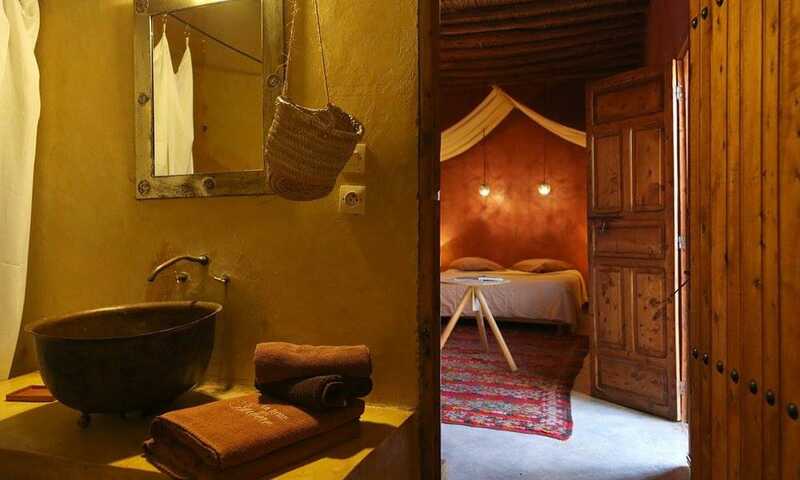 Sleep only surrounded by massive dunes and a traditional, robust Berber tent, that still is equipped with regular beds and a water well. 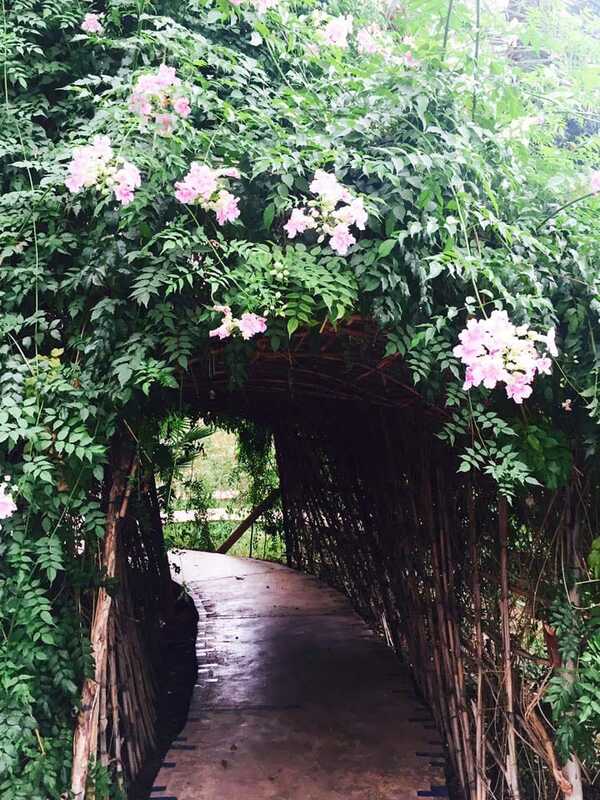 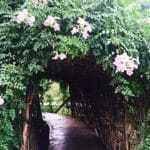 Enjoy finding a path to yourself while taking advantage of the nature’s calming effects. 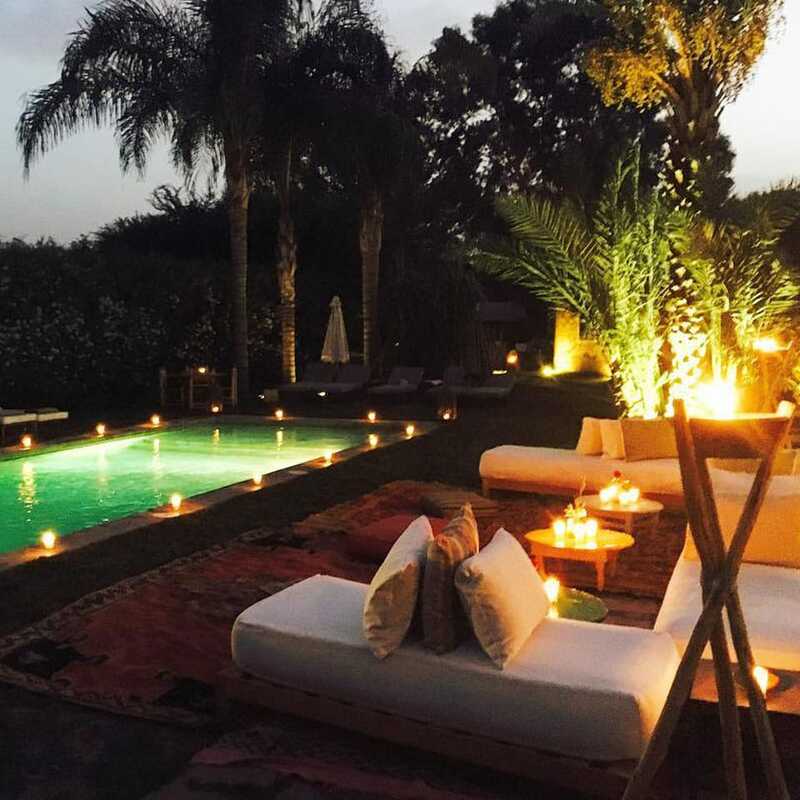 See most amazing starry night skies and listen to nothing but the sound of silence. 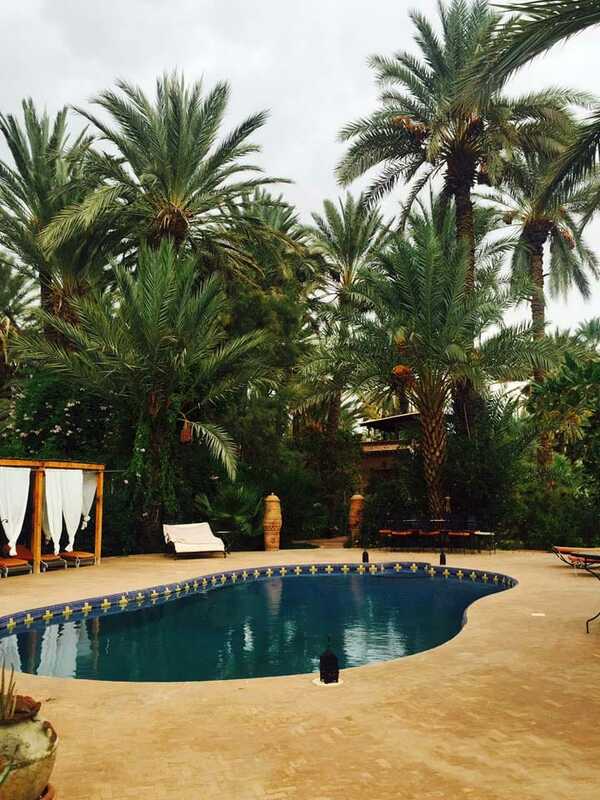 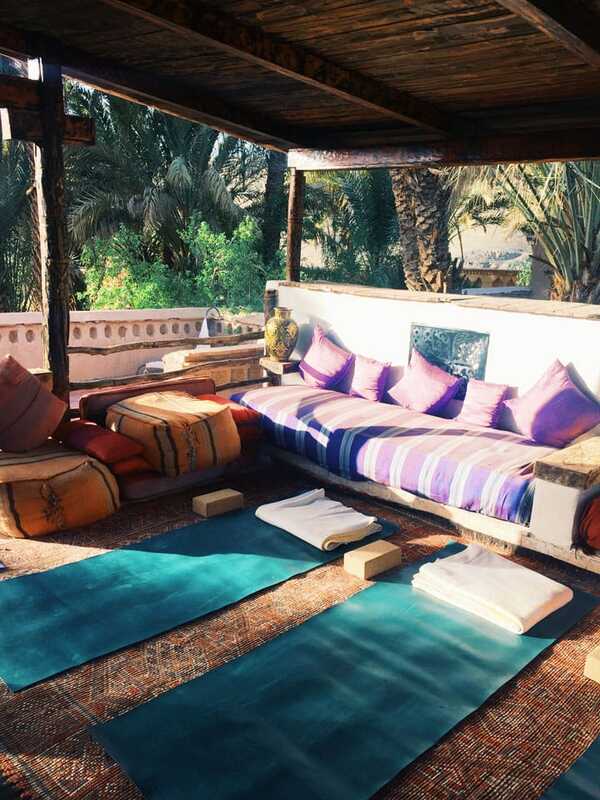 Just before the sun dunes start you can find this peaceful Riad Madu. 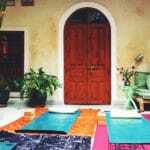 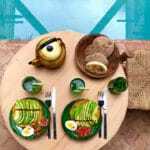 The huge green patio and the rooftop with its swimming pool invite you for calm yoga classes or relaxed days. 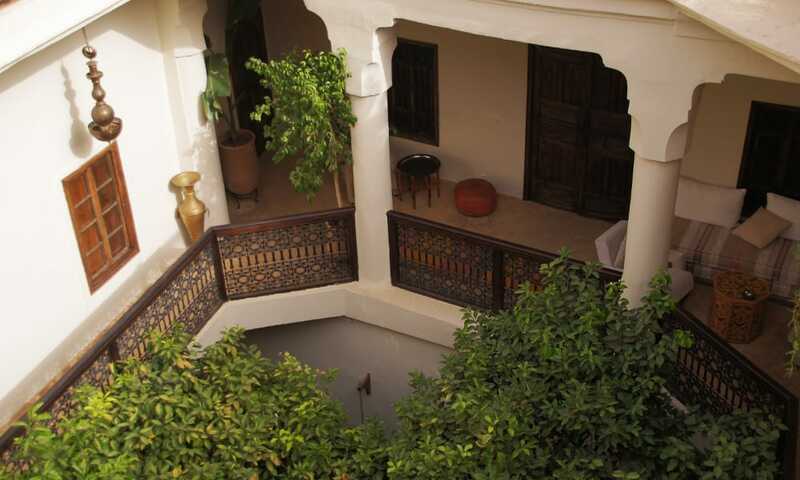 From there you can see the impressive dunes which will make you speechless. 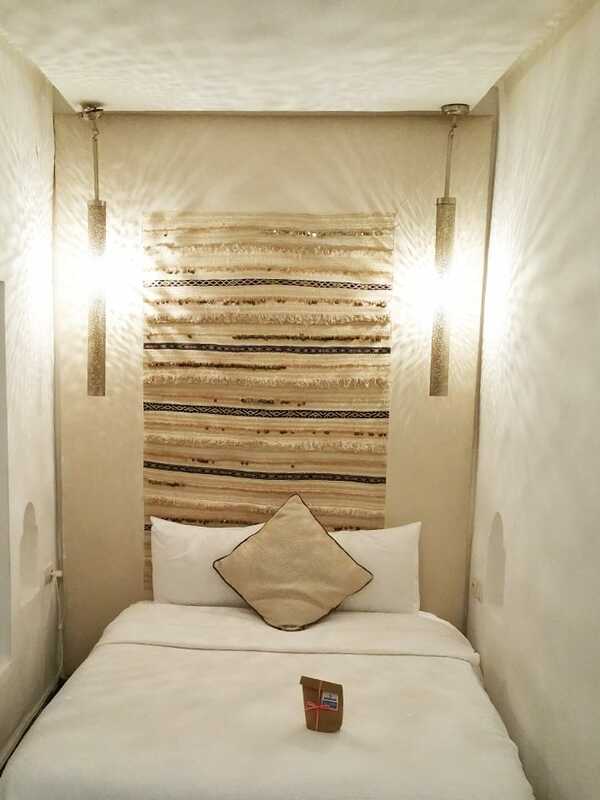 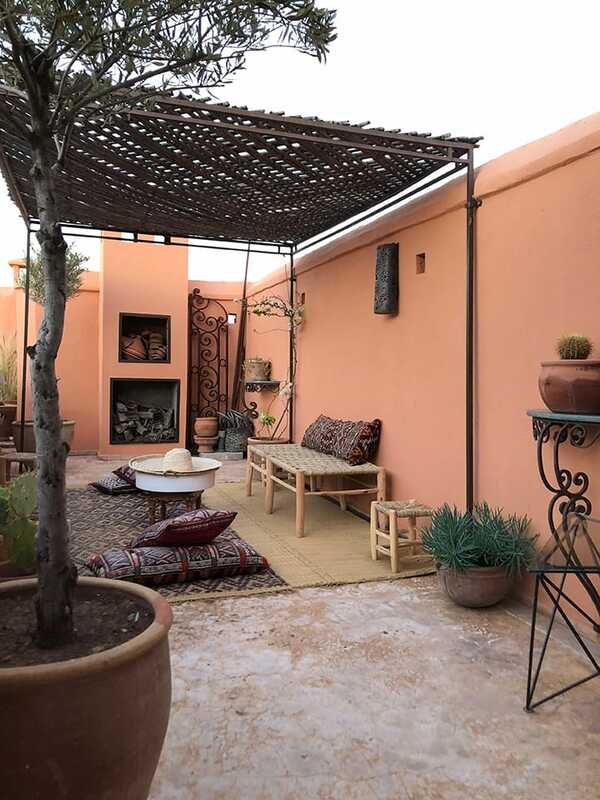 The rooms are furnished stylish & modern with traditional Moroccan details which makes it cosy & most welcoming to stay there after your trip to the desert. 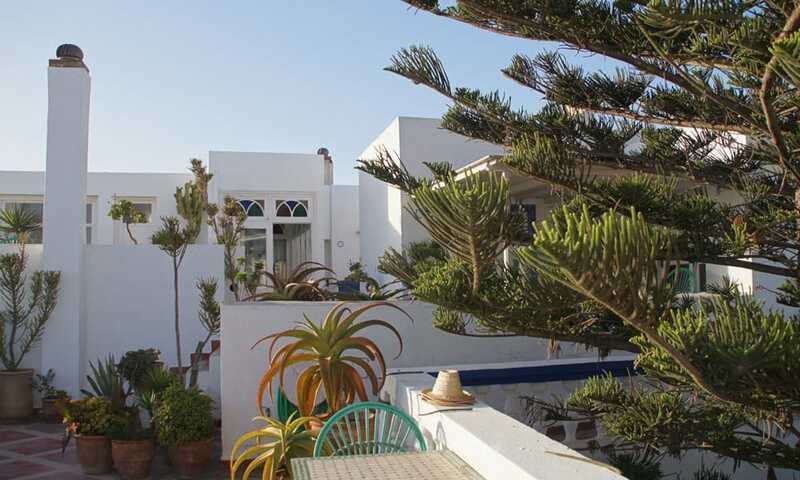 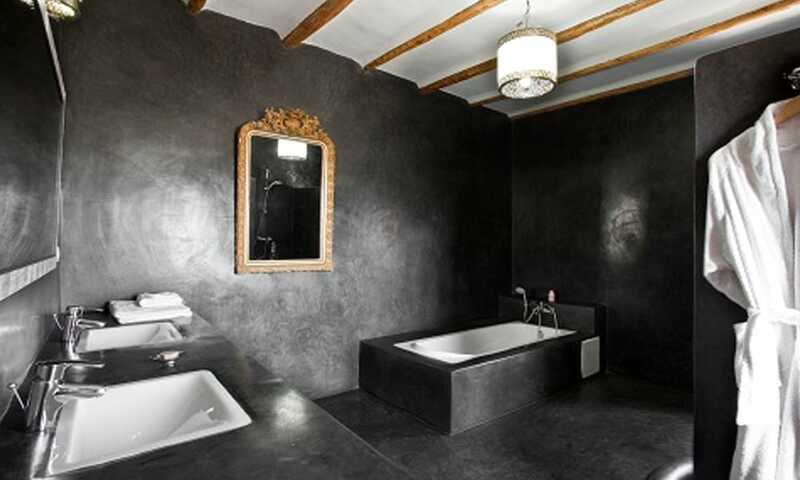 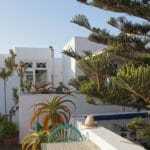 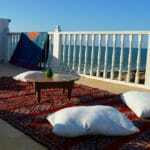 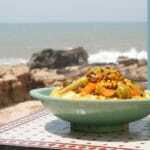 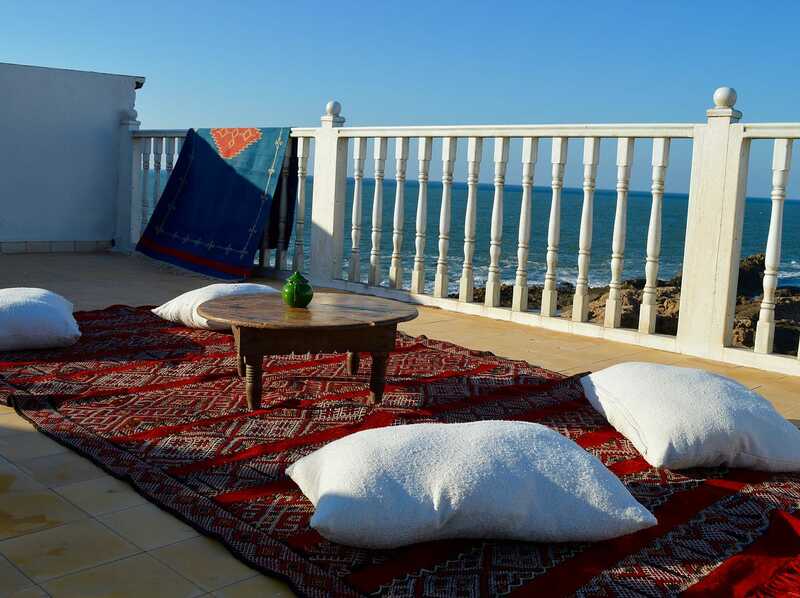 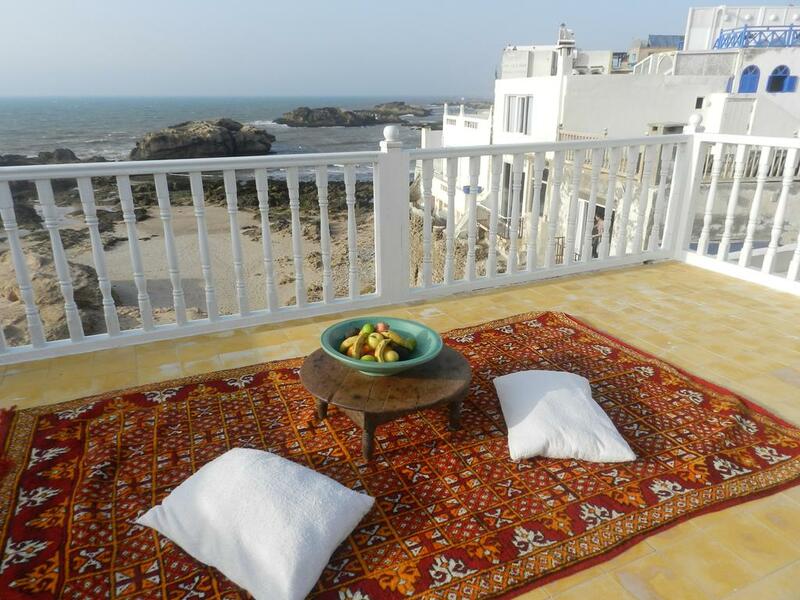 Close to the beach in Essaouira you can find Villa Maroc which is created out of four old family houses in the Medina. 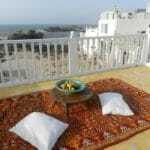 On the huge rooftop you can enjoy the yummy breakfast, yoga classes or even just the view above the ocean. 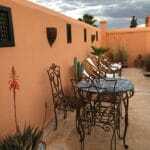 This Villa is combining tastefully traditional and modern Moroccan styles and provides high standard in service. 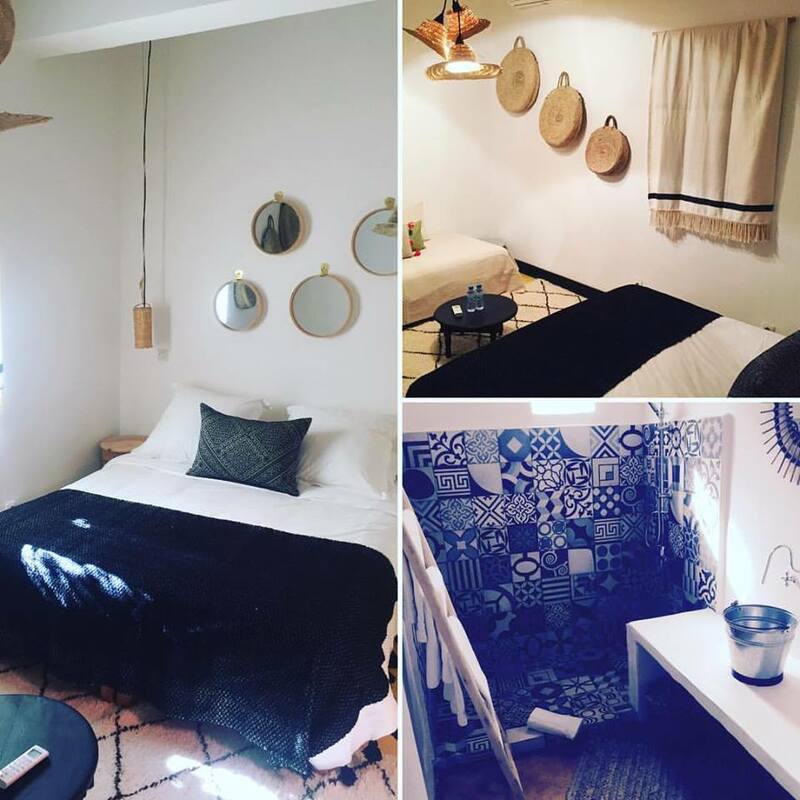 Le Douar des Arganiers in Sidi Kaouki, not far from Essaouira, is decorated modernly with little touches of Moroccan design. 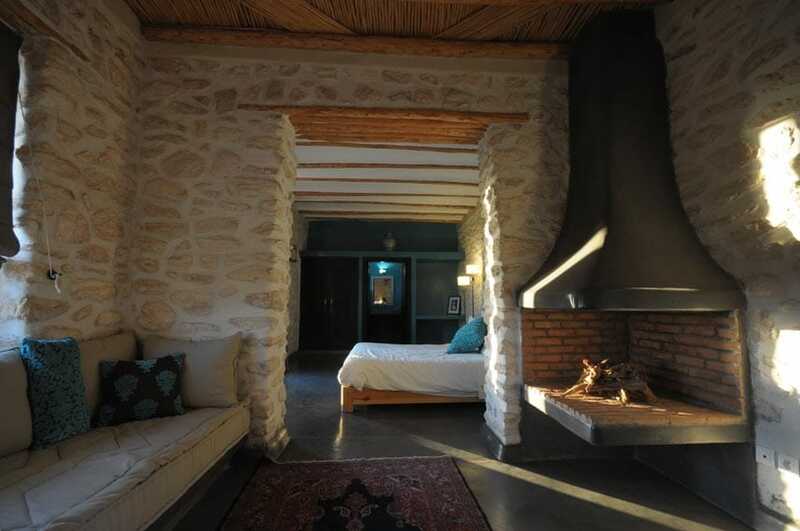 Designed by Moha Agouni, a young Moroccan architect, the house was entirely built with natural stones, local materials and traditional techniques. 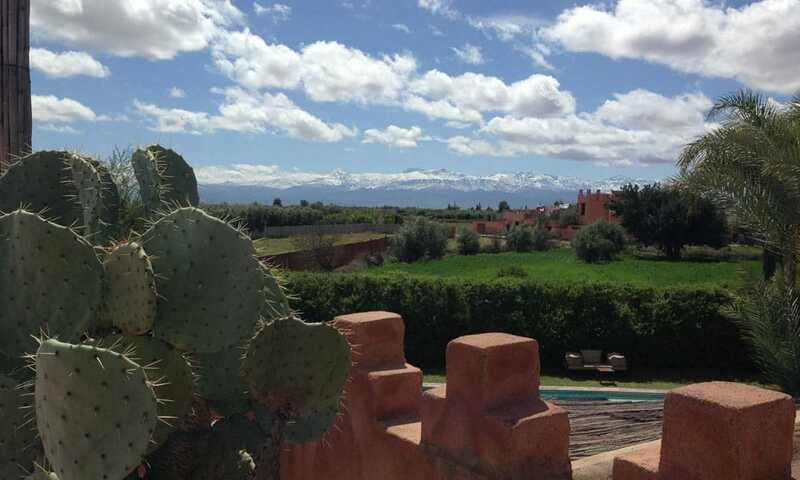 In full harmony with the landscape, le Douar des Arganiers is a mix between modern and moroccan architecture. 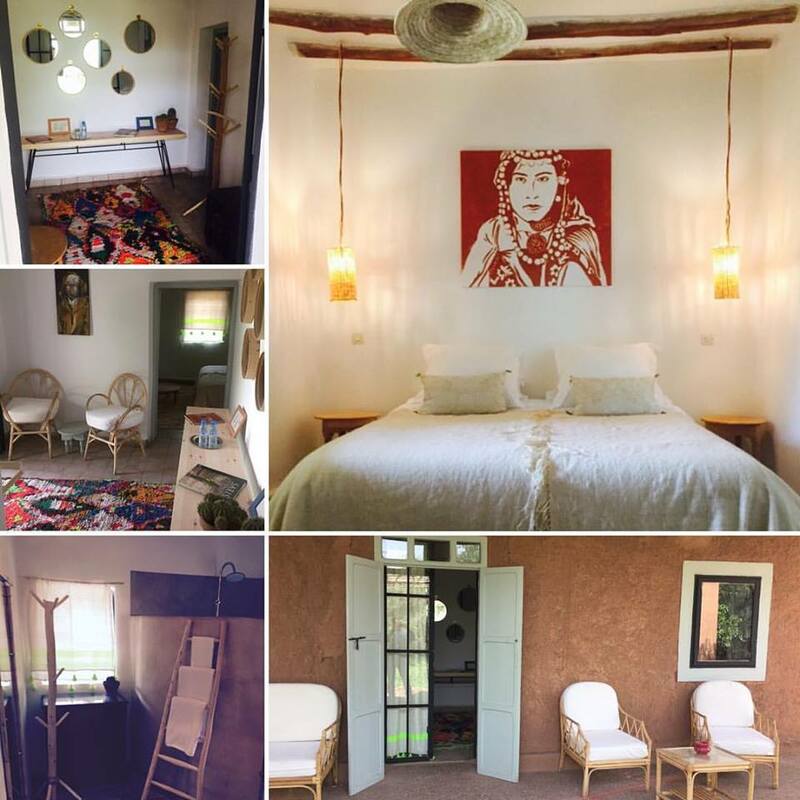 Located in the countryside, in a peaceful area, le Douar des Arganiers is only at a 10 minutes stroll to the village and beach.